Cambridge parkrun and they’re off! Well at least two of them are. The man in the orange with folded arms is clearly sulking and thinking about it. Chris in the blue top is showing serious intent and goes on to win it (I mean he completes it first, it’s not a race of course). Nice pose by Paul who sets them off with his horn (except the sulky guy who’s not playing ball). Here I am, lost in my own world, slightly open mouthed and fully attired for freezing weather. Compare and contrast with the near naked elite on the start line. The temperature is around minus 1c which is cold enough to wear my warmest jacket. Trail shoes were essential. There was ice, broken ice, mud, frozen mud and water lurking everywhere so one had to concentrate or one could find oneself coming a cropper. Post run we had coffee with our good friends and very enjoyable it was, too. Tea was also taken. 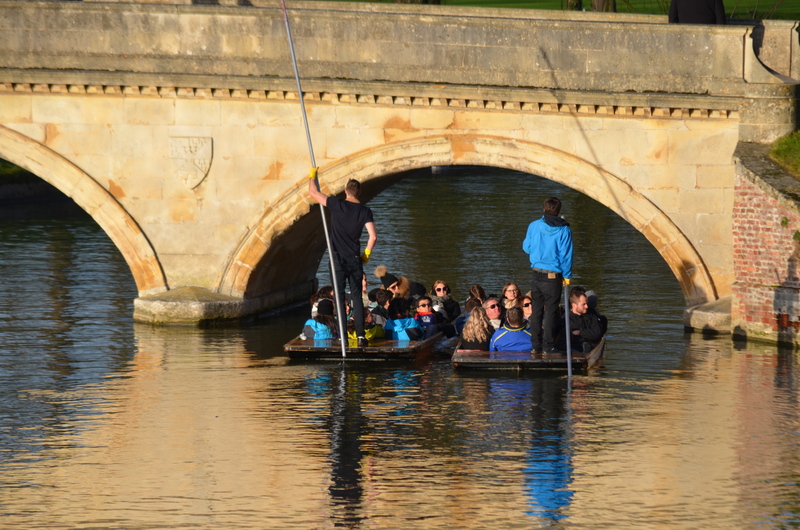 Despite the cold and frosty weather, the sun held most of the day and we went into Cambridge in the afternoon. How lucky are we to live close to such a beautiful city which is really no bigger than a medium sized town. 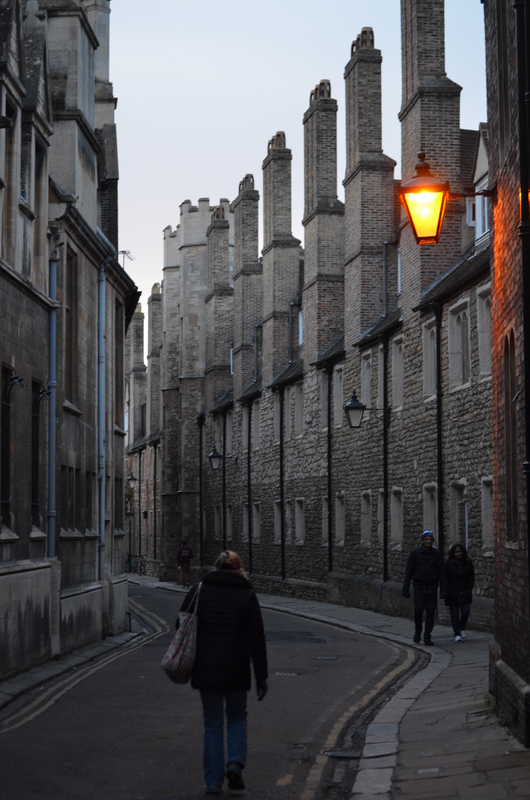 Here is the still spooky Trinity Lane. And here is the last of the Saturday sun shining on the righteous. One last pic. 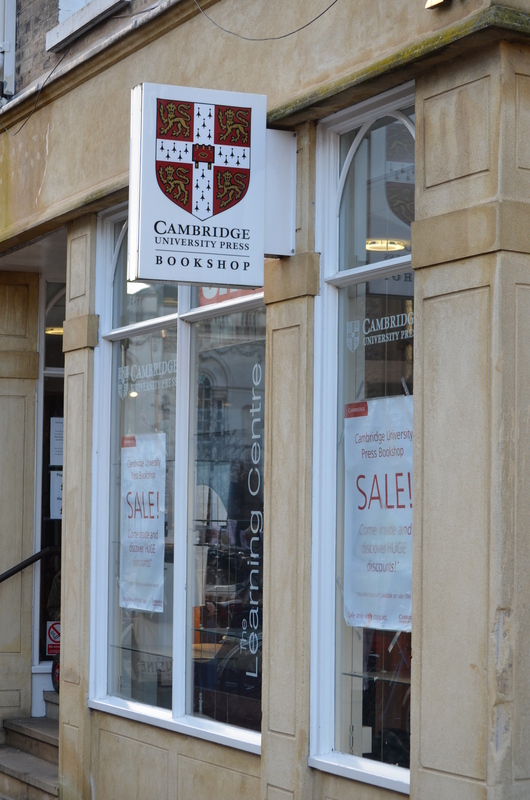 Cambridge University Press is currently having a book sale. All softback/paperbacks £3 and hardbacks £7. CUP academic books are notoriously expensive. It’s a big sale and goes on for three weeks with books being added daily. It’s beyond excitement. I’ll be back! 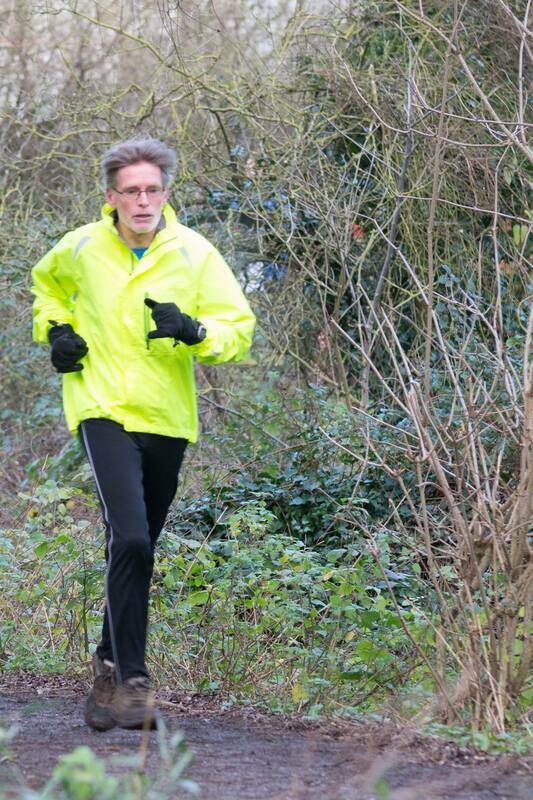 This entry was posted in a nice cup of coffee, A nice cup of tea, Am I Being Unfair?, Books, Cambridge bookshops, Cambridge punts, difficulty accepting friends have the cheek to run faster than me, excessive running, extreme weather, Heart disease, Janathon, parkrun, Running, running races, running with heart disease, Uncategorized and tagged Bibliophilia, books, Cambridge punts, Cambridge University Press bookshop, exercise, good running friends, heart disorder, Janathon, parkrun, reading, running. Bookmark the permalink. ← Janathon Day 15 I am menaced by cows! Good job that’s not a real gun the starter is holding, he looks like he would shoot to kill!